Talk of “infrastructure” may be one of the few things—if not the only thing—that comes close to uniting Democrats and Republicans at the moment. It was transit infrastructure, of course, that literally united the states of America: originally with railroads in the 19th century and later with interstates and automobiles in the 20th. Today, however, some cities’ prevailing love affairs with the car have become rather one-sided. Polluting air and clogging roads, vehicles choke our cities. Miami ranks fifth nationally and tenth globally for congestion, as residents spend 65 hours in traffic per year on average, according to INRIX, a global traffic researcher that uses big data. Adding real injury to insult, the state’s stretch of the I-95 is America’s most deadly, according to statistics from the National Highway Traffic Safety Administration. There is a financial burden to excessive traffic too. INRIX estimates that congestion costs Miami drivers $3.6 billion per year (remember that figure). Additionally, drivers pay out an average of $628,000 every day in tolls, just for the privilege of using the Miami-Dade Expressway. 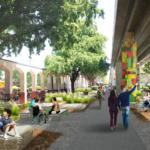 A plethora of schemes and projects are now occurring in and around the city, such as high-speed regional rail, local rail, bus, bicycle, and pedestrian routes, water travel, and carpooling. 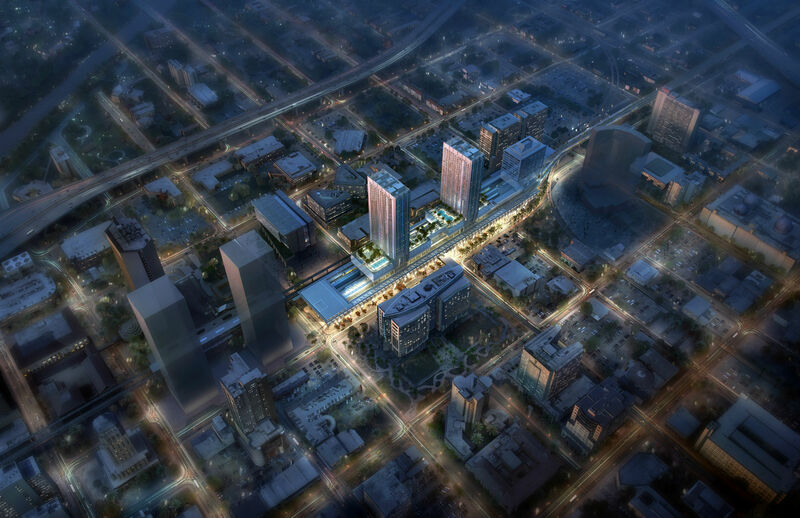 Miami has gone from having nothing concrete in the pipeline for years to everything happening at once, and this coincides with a development boom that is more tuned for urban living than previous waves of development. 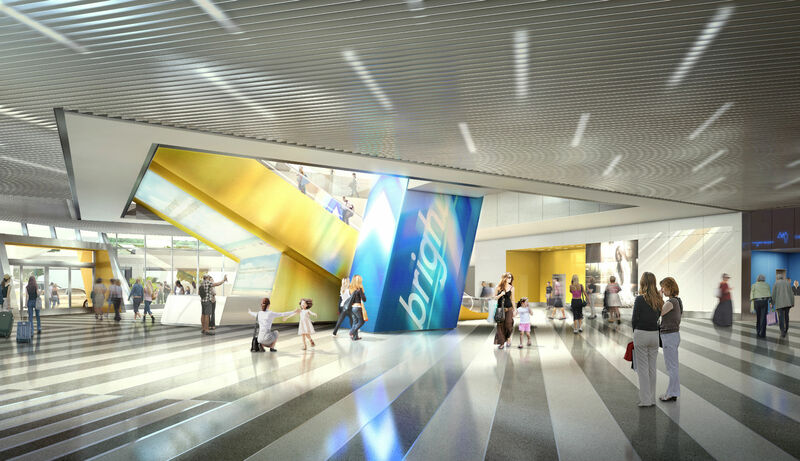 Bravo said that the backbone of the infrastructure surge is the Brightline, a completely private, approximately $3 billion scheme by All Aboard Florida. The “higher-speed” (Note: not high-speed) rail service runs the 235-mile stretch from the Orlando airport to Downtown Miami. The new line will reduce travel between Orlando and Miami from four hours to two and a half, for about the same cost as driving. Such a commuter-rail service may sound familiar: In the late 19th century, the Florida East Coast Railway (FEC) was developed by Henry Flagler. Flagler’s railway ran from Jacksonville and was dubbed the “eighth wonder of the world.” The commuter rail prevailed until the 1960s when the line was used to transport freight only, which it still does to this day. Unsurprisingly, then, All Aboard Florida is a sister company of the FEC and the new tracks will be laid along the existing lines. 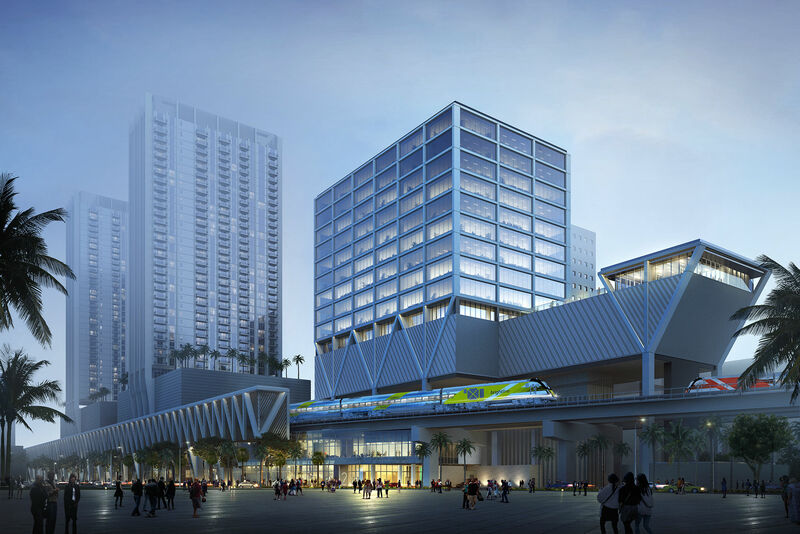 Designing the Miami station, as well as those in Fort Lauderdale and West Palm Beach is Skidmore, Owings & Merrill (SOM) who are working with Miami-based Zyscovich Architects. 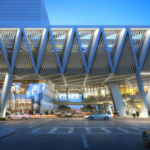 Design principal Roger Duffy explained how the stations would work with the existing infrastructure around them: “At Fort Lauderdale, we’re looking to link up with a bus service that will connect the cruise port and the station.” The city is also pressing on with plans for a streetcar system called “The Wave” that would connect with the station as well. 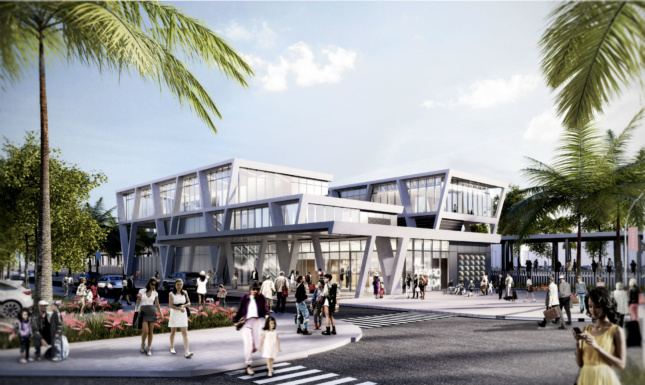 Meanwhile, at West Palm Beach, the 60,000-square-foot station is located at the center of downtown and will connect with the existing trolley network as well as Tri-Rail and Amtrak. In Miami, the station inhabits a similar location. 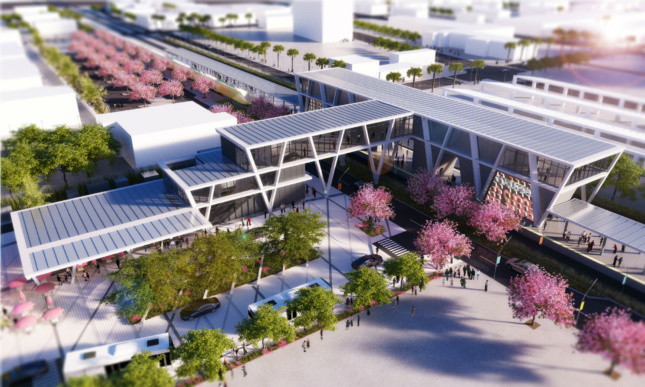 A zoning override that turned the area into a special transit district was required to build the station, and tracks here are elevated 50 feet into the air so that the 11,000-foot-long station can bridge roads and pedestrian pathways. 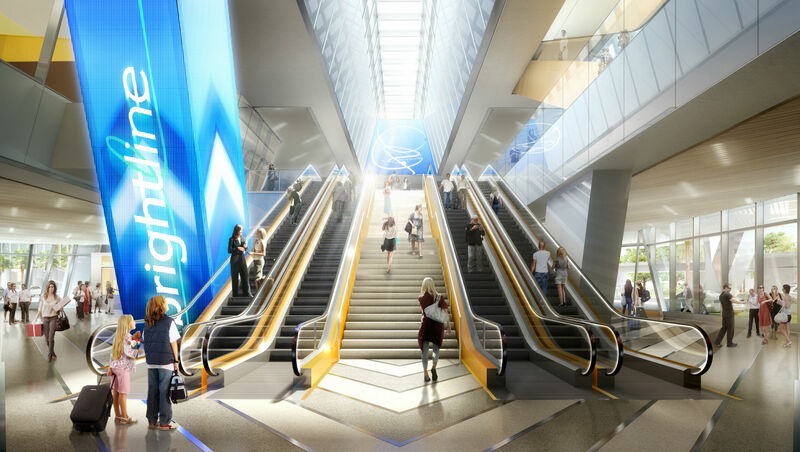 Like any contemporary train terminus, the station will offer a ton of retail space, with room for a food court too. Duffy, however, stressed that the station was “not like duty-free at an airport,” where you have to weave through shops to get anywhere. 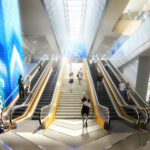 Amenities will also cater to the area outside the building. 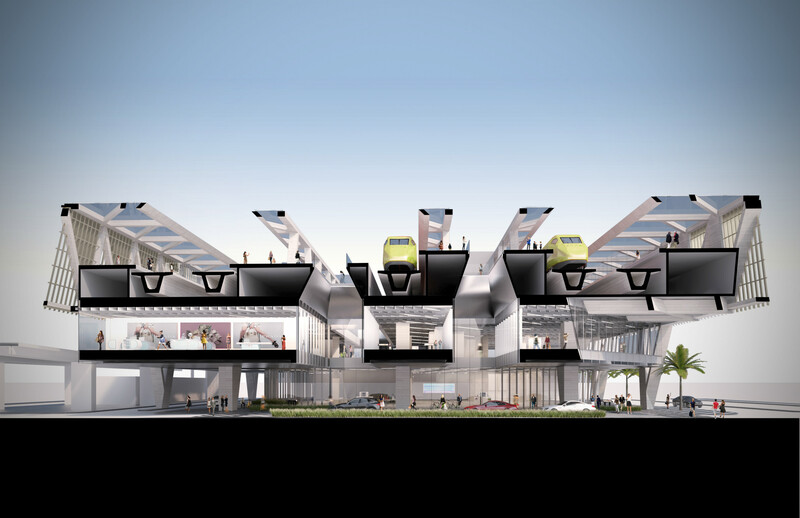 Space for food trucks—a hit in Florida—has been provided, while skylights where the station bridges the streets offer daylight. 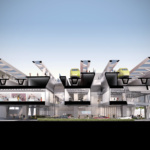 The Brightline train itself was designed by the LAB at Rockwell Group—an in-house strategy and technology studio at the New York architecture and design studio. 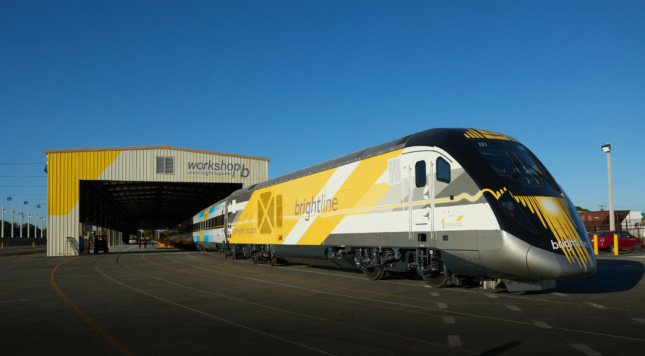 The LAB at Rockwell Group worked with All Aboard Florida to conceive the Brightline name, brand platform, visual identity, and designed the train’s interiors as well as the exterior graphics. 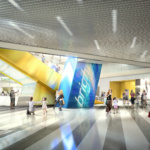 In addition to this, one of Rockwell Group’s architectural studios designed the interior check-in areas, food and beverage areas, and lounge experiences for all four Brightline stations. 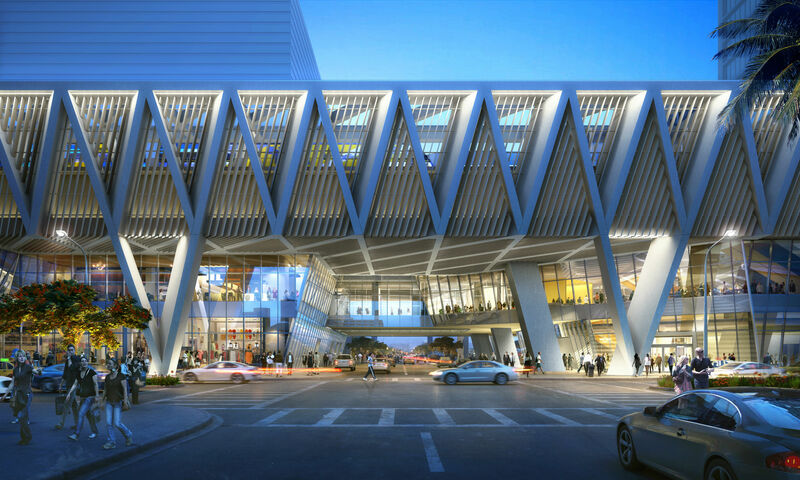 Using the Brightline project as a springboard, Bravo is embarking on a $3.6 billion (remember that number?) transport scheme. Part of “Strategic Miami Area Rapid Transit,” otherwise known as the S.M.A.R.T. 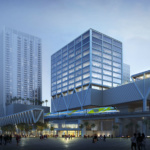 plan, 82 miles of track will be laid along six transportation corridors that involve local services, including the suburban Metrorail and the elevated monorail Metromover. 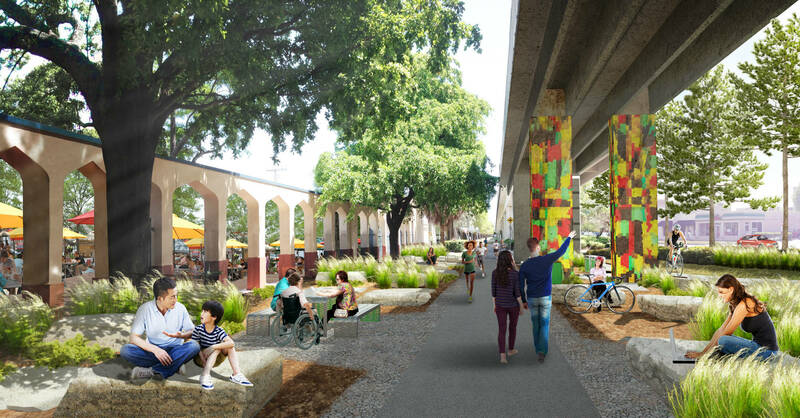 In addition to new tracks, existing tracks are also finding a new lease on life as a haven for pedestrians and cyclists. 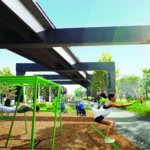 Known as the “Underline,” the rails-to-trails scheme, comes from James Corner Field Operations (JCFO)—the same firm who developed New York’s hugely popular High Line. 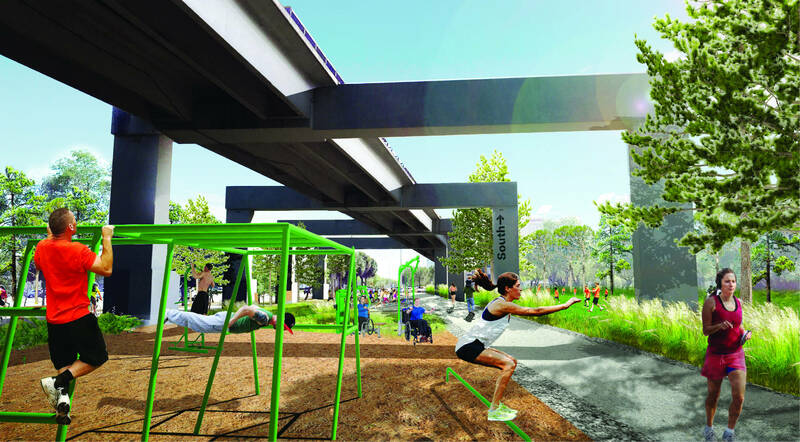 Expanding on this, Isabel Castilla of JCFO listed amenities such as a dog park, an outdoor gym, a basketball court that doubles up as a space for yoga classes and similar activities, as well as a 150-capacity bicycle garage (Miami-Dade’s first) and a bike repair station. 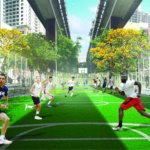 Art will also line the trail, and amenities will be site-specific: In the University of Miami area, a beach volleyball court will be installed. 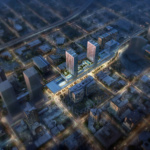 Bravo, too, is aware of the interwoven relationship between transit development and the densification of urban areas. Another tool she discussed to further assist Hegedus’s and her ambitions was the possibility of Uber and Lyft entering the fray of her transport plans, acting as the “first and last miles” for journeys. Now operating in Miami (after three years of lobbying for service legalization), Uber and Lyft previously found success in other parts of Florida, notably in Pinellas Park and Altamonte Springs where rides are subsidized and saving the cities considerable money. Altamonte Springs City Manager Frank Martz described the pilot partnership as “going very well,” but said the scheme is due to end in July. The low-cost nature of services such as Uber and Lyft is a key to their success. Already able to outprice traditional taxi drivers, ridesharing services Uber Pool and Lyft Line are looking to compete with bus service, too. Uber has gone further than mere carpooling by introducing pickup points optimized by algorithms that essentially create Uber bus stops. Uber is also losing money—approximately $3 billion per year. In December, economist Justin Wolfers commented that “prices will rise once they’ve succeeded at monopolizing the industry.” If he is correct, the governmental embracing of Uber and Lyft long-term will prove to be shortsighted. Evidence of what happens when alternative public transit routes become unavailable can be seen in London. During a tube strike earlier this year, Uber fares surged by 450 percent; one rider was reportedly charged $138 for a five-mile trip. It should be noted, though, that Altamonte Springs and Pinellas Park went with car sharing due to other circumstances not going their way. The Altamonte Springs city government set aside $500,000 (of which only a fraction has been needed) for private-hire subsidies after it was denied funding for a $1.5 million pilot “FlexBus” program. 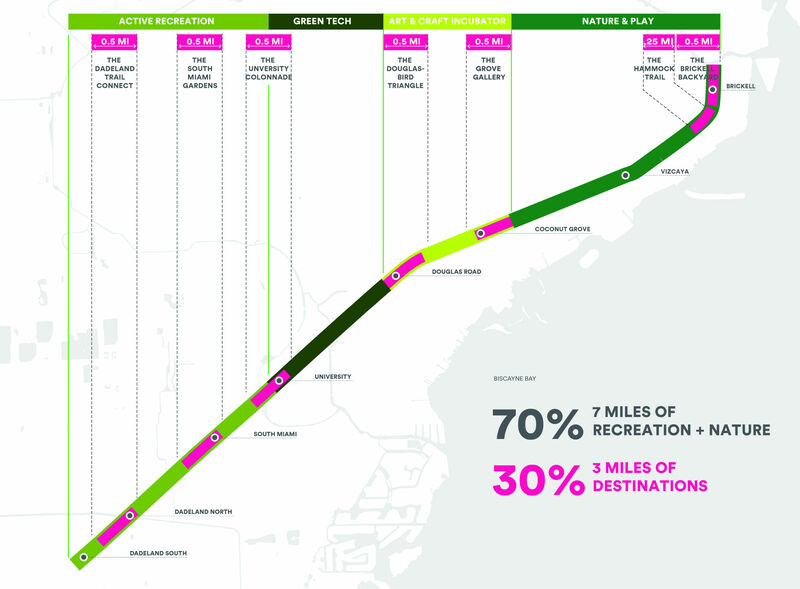 At Pinellas Park, the program emerged in response to a 2014 referendum in which local voters declined to adopt a one-cent sales tax to aid transit in the area. In Miami, however, residents appear to be more enthusiastic about public transport. The “People’s Transportation Plan,” a half-penny charter county sales surtax is helping to fund the S.M.A.R.T. project, something the public voted in favor of back in 2002. 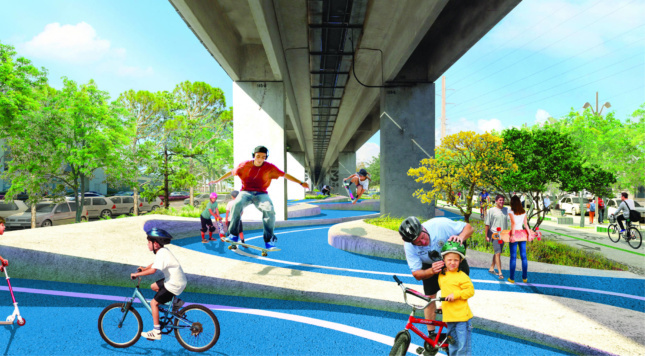 All this, too, shouldn’t suggest that Miami is waging all-out war against the automobile. Getting around by car is being made easier by what Bravo calls “smart signals”—traffic signals that adapt to current states of congestion. Using cameras, they monitor intersections and use AI to optimize traffic flow. Miami-Dade County is investing $40 million this year for the implementation of the traffic signals along major corridors, part of a five-year, $160 million effort. Other smart-city services include 300 soon-to-be-installed wi-fi transit hotspots from CIVIQ Smartscapes. 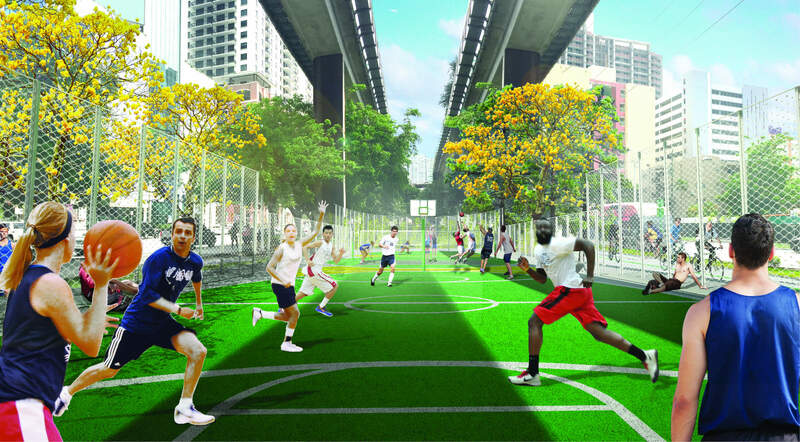 With all the proposed infrastructural plans, varying in scale, Bravo is under no illusions about the difficulty of the task. “This is a huge cultural change,” she said. However, Bravo is optimistic about how future generations will take to the changes. “New millennials are cool about public transportation,” she added. Such unprecedented growth seldom comes around often, and the chance to invest off the back of hefty tax receipts may be fleeting. 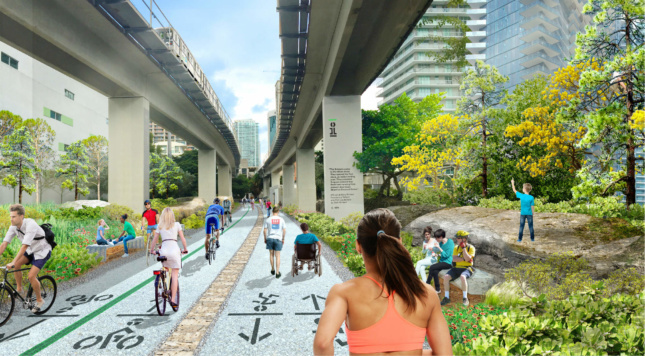 Miami’s public transit system is dire, but if it continues to ride the wave of public support and enact its plans, change in the form of mobility lies ahead.